Cal Camats has three spaces; "La Casa dels Masovers", "La Sala d’Estudi" i "La Casa Pairal". The three spaces are communicated through a community entrance and scale, so they can be rented together or separately, depending on your needs. Ideal for families and groups. This space has two floors. The first one has a kitchen-dining room with fireplace, a bathroom with shower and a balcony. 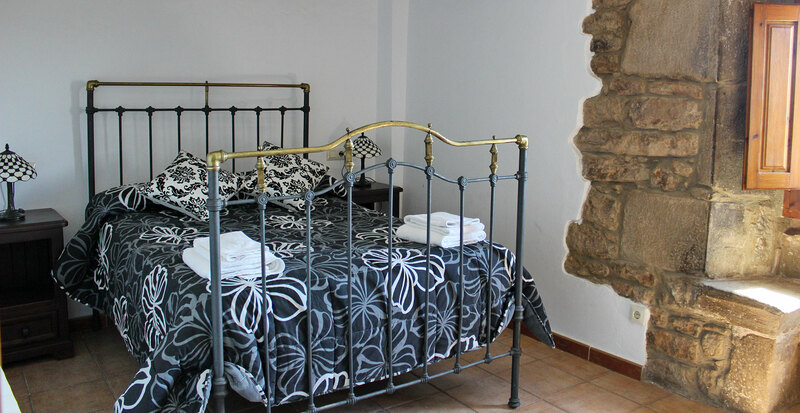 The second floor has a double room, two double rooms, a bathroom with shower and a "attic" with extra beds. It has a kitchen-dining room, two double rooms, a bathroom with shower and a balcony. 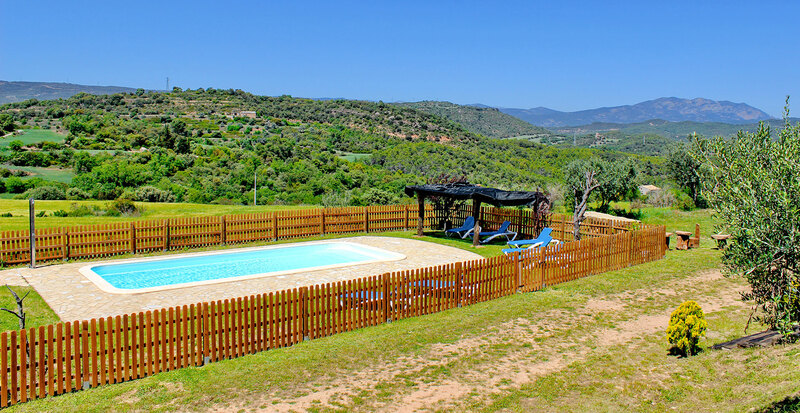 It has a spacious kitchen-dining room with fireplace, two double bedroom, a bathroom with shower and a terrace. The three spaces are fully equipped. 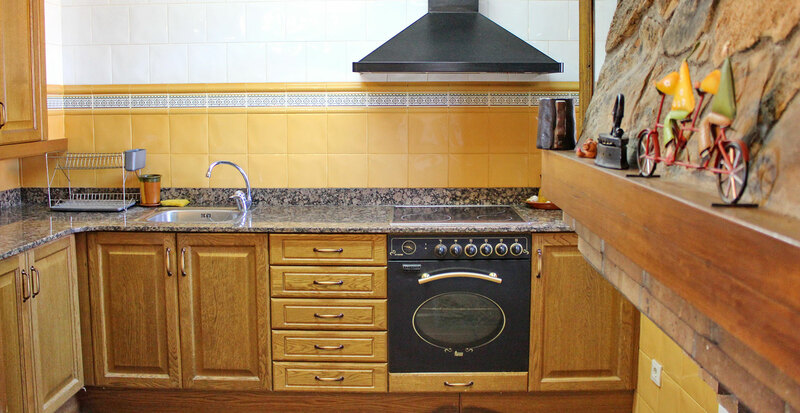 Kitchen with dishwasher, microwave, fridge, vitro, oven and washing machine. 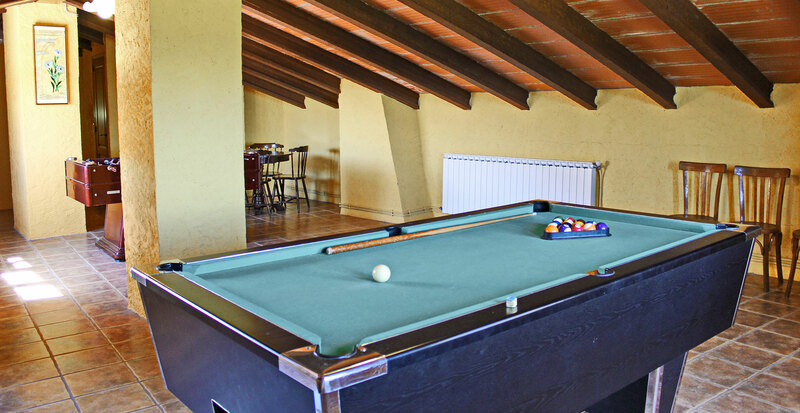 Games room with table football, billiards and board games. Porch to spend good time of gatherings or to prepare tables for lunch and dinner. Attached to the house we have a chapel of 1658.